Precision laboratory thermometers are supplied in yellow back glass with permanent pigmentation of graduations. All of these instruments are aged and annealed for extended accurate service life, and are suitable for certification. 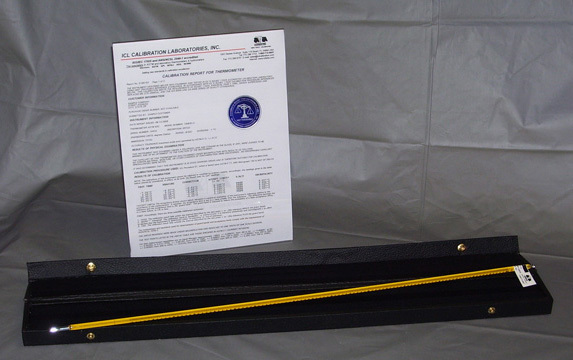 These thermometers are also available calibrated traceable to NIST, with ISO/IEC 17025 accredited calibration reports, with durable storage cases.